Welcome to The Astor - A boutique 2 bedroom apartment in a quiet sector of Central Chamonix. WiFi, parking, stunning views, 2 balconies. Perfect for holidays with friends and family. NEWLY RENOVATED FOR APRIL 2019: BRAND NEW KITCHEN, BATHROOM AND WOOD FLOORING THROUGHOUT!!! Free Wifi, UK Sky Freeview channels, French TV, underground private parking, DVD player and library, Nintendo Wii, board games, 2 balconies, stunning views. Get the latest lift and piste opening information here! Get the latest snow report from 'Snow-Forecast' here! Get the latest weather forecasts from 'Snow-Forecast' and Meteo France here! 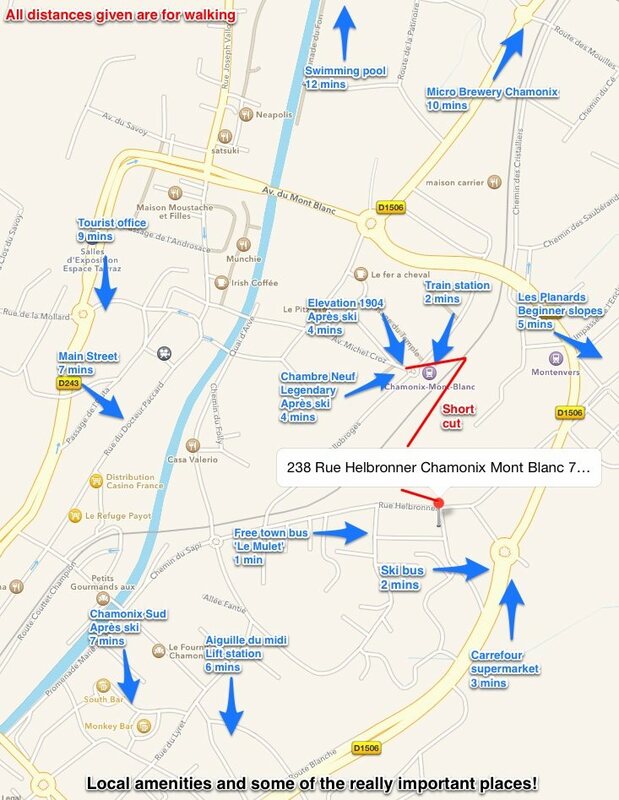 For the latest Official Chamonix Snow Report: HIT THIS UP!!! Click the video below to check out the best freeride skiers in the world taking on Chamonix in style!